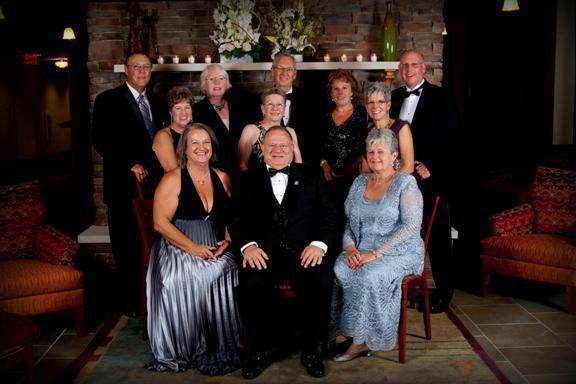 J.C. Blair Memorial Hospital honored individuals within the J.C. Blair Health System family who have contributed significantly over the past century to the Hospital and its place in the Huntingdon County community during the Recognition Award Ceremony at the 100th Anniversary Evening of Promise Gala on Saturday evening, September 17, 2011 at Lake Raystown Resort. Award categories included Volunteer Award of Honor, the Health Care Professional Award, and the Kate Fisher Blair Philanthropy Award. The Volunteer Award of Honor was presented to Pamela Kenyon Thompson. Thompson is a lifelong citizen of Huntingdon who started volunteering at J.C. Blair Memorial Hospital as a teenager in what was then known as the Junior Auxiliary. As an adult, she became a long term member of the Auxiliary to J.C. Blair and held many positions including President. She became active in the Pennsylvania Association of Hospital Auxiliaries (PAHA) where she again held many offices at the regional and state level. As Auxiliary President, she served on the Hospital Board of Directors and was then elected to a position on the Board after her Auxiliary term expired. She was the first woman elected to serve as Chairman of the Board of the Hospital. Throughout her life, Pam has dedicated her service to J.C. Blair and brought many new ideas to the Auxiliary and to our community hospital, contributing to the longevity and the success of both. “I appreciate being chosen to receive this award. There are a lot of worthwhile people who could have been and I am sure were considered,” Thompson said. The Health Care Professional Award was presented to Pamela Davis Matthias. Matthias started working as a nurse at J.C. Blair in 1975 and now serves as Vice President of Patient Care/Chief Nursing Officer for J.C. Blair Health System, Inc. As such, she manages all clinical departments of the Hospital and chairs numerous committees. In addition she serves on the boards of the J.C. Blair Memorial Hospital Foundation, Huntingdon House and Home Nursing Agency. Throughout her career at the Hospital, she has dedicated her time and talent to providing high quality health care to the Huntingdon County community. The Kate Fisher Blair Philanthropy Award was presented posthumously to Kate Fisher Blair. Kate Fisher Blair’s $100,000.00 philanthropic gift to Huntingdon County established J.C. Blair Memorial Hospital in this community. In future years, this award will be reserved for a person whose philanthropic giving has helped sustain J.C. Blair Memorial Hospital and/or who has invested significantly in its future. Future candidates for this award will have made an exceptional charitable contribution to further our Hospital’s mission of “being the premier health resource for the residents of Huntingdon County and nearby communities.” Marsha Hartman, Executive Director of the J.C. Blair Memorial Hospital Foundation, received the award on behalf of Kate Fisher Blair. “I am happy and pleased and honored to accept this award on behalf of the J.C. Blair Memorial Hospital Foundation, and recognize Kate Fisher Blair for all she’s meant to our hospital and our community,” Hartman shared.